This post brought to you by JBF Lee’s Summit. All opinions are my own. Having children can get really expensive! They grow and change so quickly that a lot of the time their clothes and toys are still in fabulous condition when they are finished with them. It’s just something every parent is faced with. Bins and bins of clothes and toys that need new homes. 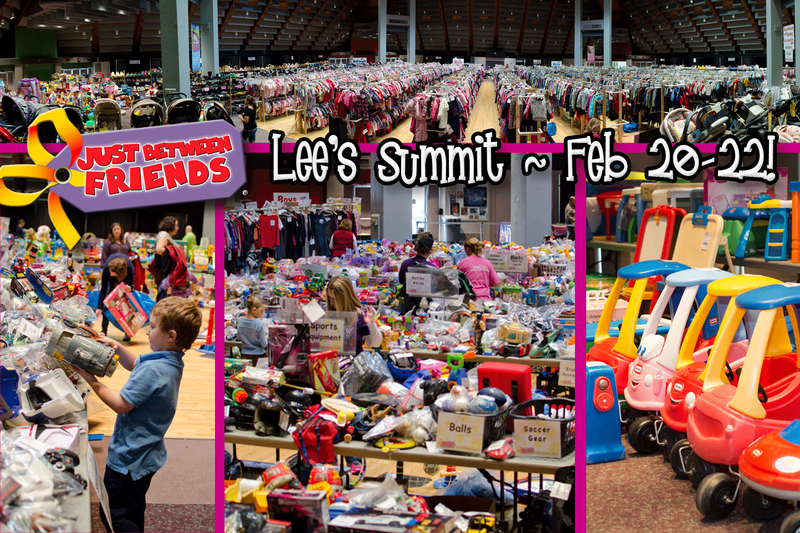 That’s where the Just Between Friends Lee’s Summit sale comes in! 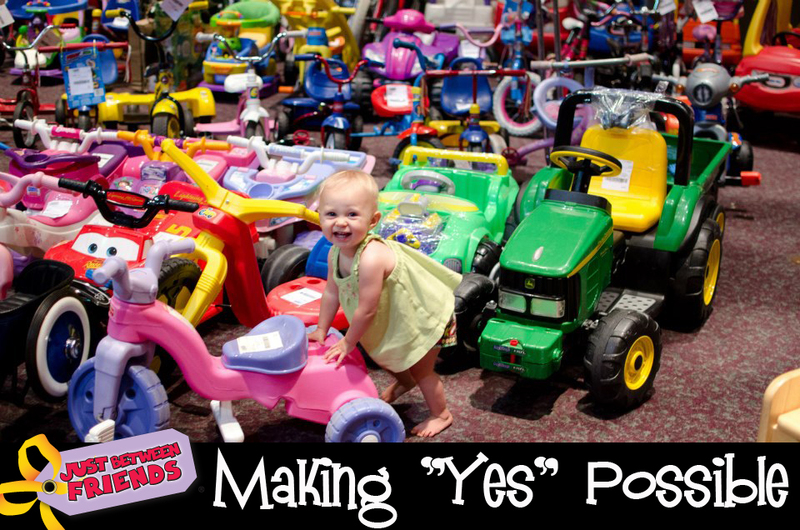 Parents bring in their gently used items for a huge “garage sale”. The selection is beyond incredible and it’s almost a guarantee that you won’t leave empty handed. Join me on February 20-22, 2015 from 10am – 7pm at the John Knox Pavilion (520 NW Murray Road Lee’s Summit, MO 64081) and get ready to shop until you drop! Last year I left with my arms full of puzzles, clothes, video games and shoes. This year I’m hoping for some dance clothes, dance shoes, and some spring clothes for Emma and Ethan. I will be in line first thing! Doors open February 20, 2015 and admission is $2, but if you “like” them on Facebook you can find a Free Admission Coupon! Join me on Monday, February 16, 2015 for a Facebook party on the JBF Lee’s Summit FB page from 8:30-9:30pm. PRIZES: There will be font of the line passes and JBF bucks awarded during the party! We will be using the hashtags #JBFKC and #ILoveJBF. What will YOU be shopping for? It’s amazing all the stuff in these pictures. I have been once to the Just Between Friends in my town. I will have to see when it will be here. Where were these types of events when my kids were little? I could have used an easy way to exchange clothing and toys that we no longer used.